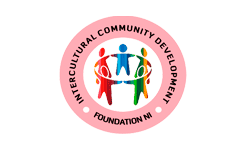 This is a family event in which there will be various cultures on display, with a range of foods and delicacies to sample, organised by the Intercultural Community Development Foundation NI (ICDFNI). This will be a fun filled day for all the family with dance and art showcases from the various nationalities present in Northern Ireland. We will also be introducing our Little Peace Angels where they will lead a storytelling performance about promoting peace in Northern Ireland. Also, the Transcultural Table Tennis Friendship Championship is taking place which will bring together table tennis teams from various communities. We will be working alongside various charity organisations such as the refugee community organisation, NICRAS and ASFNI (African Caribbean Sports Forum Northern Ireland) in this fun event.